Twenty years after the end of El Salvador’s brutal civil war, the tropical, Central American country’s black, volcanic beaches and right point breaks have made it a destination for surfers from around the world. 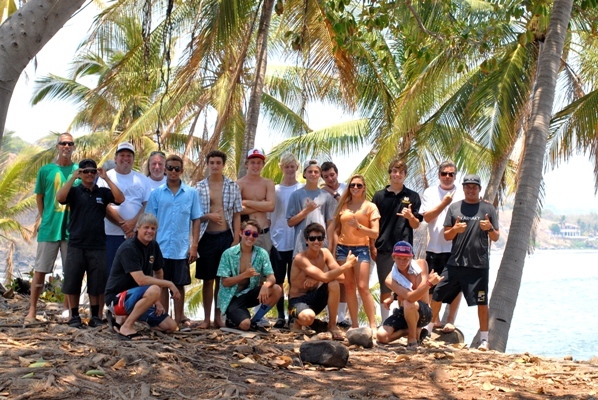 One group of surfers who have made repeat visits to El Salvador is the members of the Mira Costa High School surf team. The team made its first trip last year, through AST Adventures. A perfect right-hander, a pool to cool off, and a Jacuzzi to relax a person after a day shift of surfing, what else do you need? The epic west coast, right hand point breaks would deliver some of the longest rides any of these kids and their parents had ever surfed. This year, the Mira Costa’s team of 18, including five dads, went for a week to AST’s Punta Flores Surf Camp, on the east coast of El Salvador. Being the only female presence of the tour, Jordan Wible gives the guys a run for their money. They arrived at the peak of Sumana Santa, Central America’s Easter Holiday. It was full blown mayhem with massive traffic jams, pumping music and street side discos. 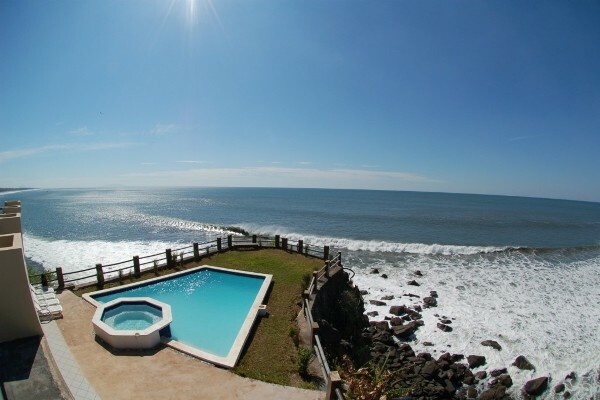 AST kept the group in La Libertad the first night, allowing them to score waves on arrival day. On the second day, when the bus pulled up to Las Flores, the kids jumped out and ran to the point where you can see Las Flores to the east and La Vaca and El Toro to the West. Over the next several days it was beach breaks in the mornings and points in mid day, when the high and low tides settled in. Las Flores is known for its sand bottom and 200 yard right handers, La Vaca for its steep face and El Toro for the empty line ups. Coach Tracy Geller and dad Mike Quinn would sneak out down the trail to La Vaca and then in 10 minutes would be soloing Toro, trading waves for hours. Forget traditional Spring Break zones of poolside, lakeside, or riverside tanning butter meltdowns. These surfers picked paradise. The trip was equally memorable for the dads. “My son graduates this year and I am bummed not to be going next year. By the way, Punta Mango (where the team went by boat) is no joke. That is a world class wave,” Quinn said. For coach Geller, the trip was an opportunity to speak Spanish and making friends with the locals. “I was speaking Spanish so much I was dreaming in Spanish,” he said. “One of the highlights was seeing how stoked the launcha captain was when I gave him my surf team windbreaker, and our team styling out the locals,” Geller said.. The team took time off from surfing to visit with the locals, pounding them with clothing, sports equipment, school supplies, stickers and a board or two. Many of the visiting kids and parents made new friends for life.